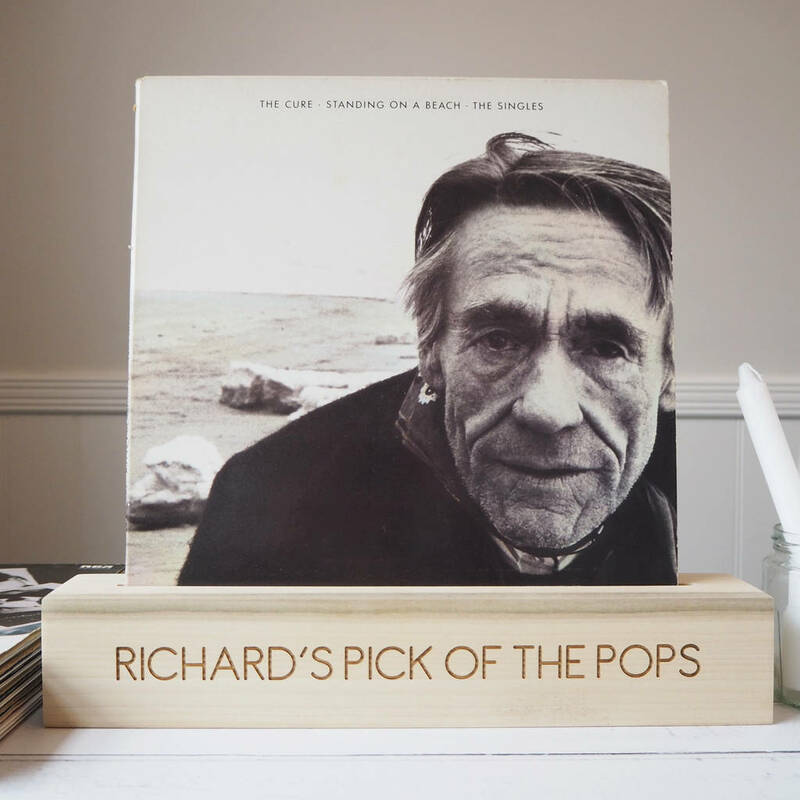 A beautifully crafted, personalised wooden vinyl record holder. Sharing music with friends and family, or listening alone is a joyful mood-enhancing pastime, listening to vinyl in particular is wonderfully nostalgic. 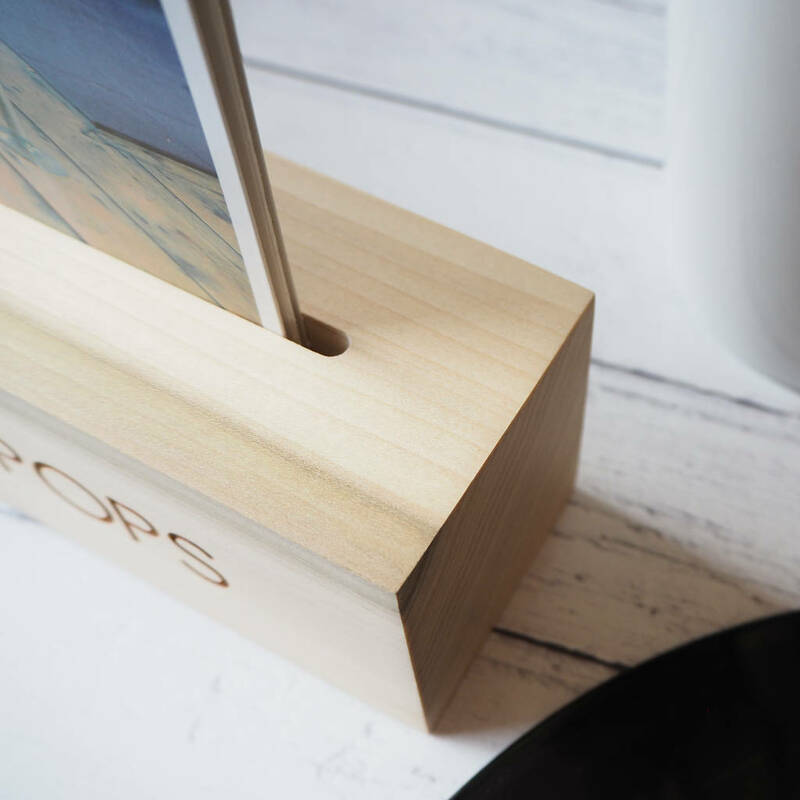 Our wooden display holder, allows you to enjoy the unique artwork as much as the music. The perfect way display and admire the vinyl artwork for the current record 'Now Playing'. 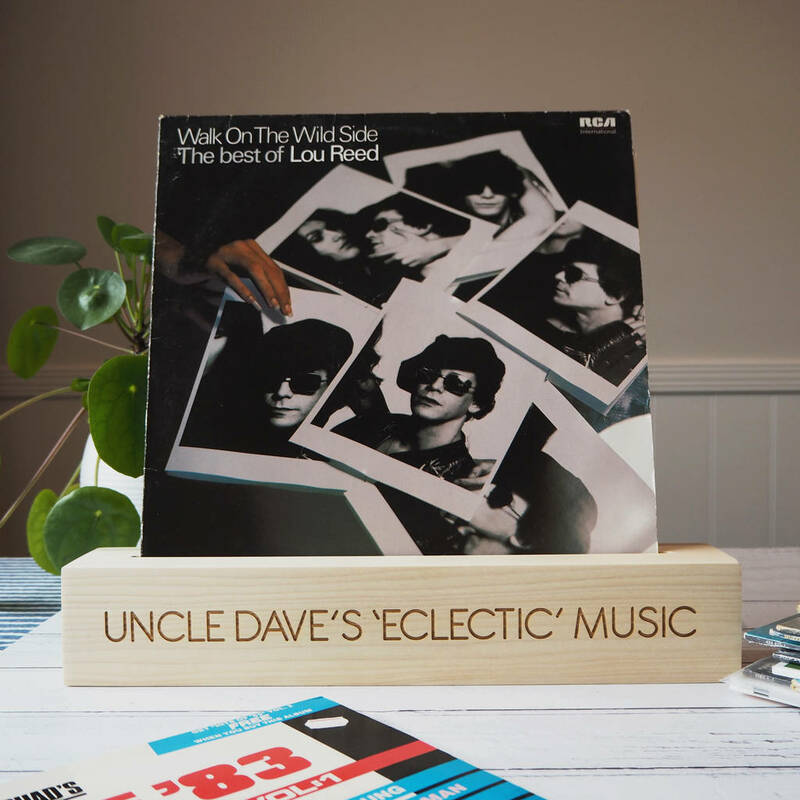 This personalised vinyl holder, is such a thoughful handcrafted gift. 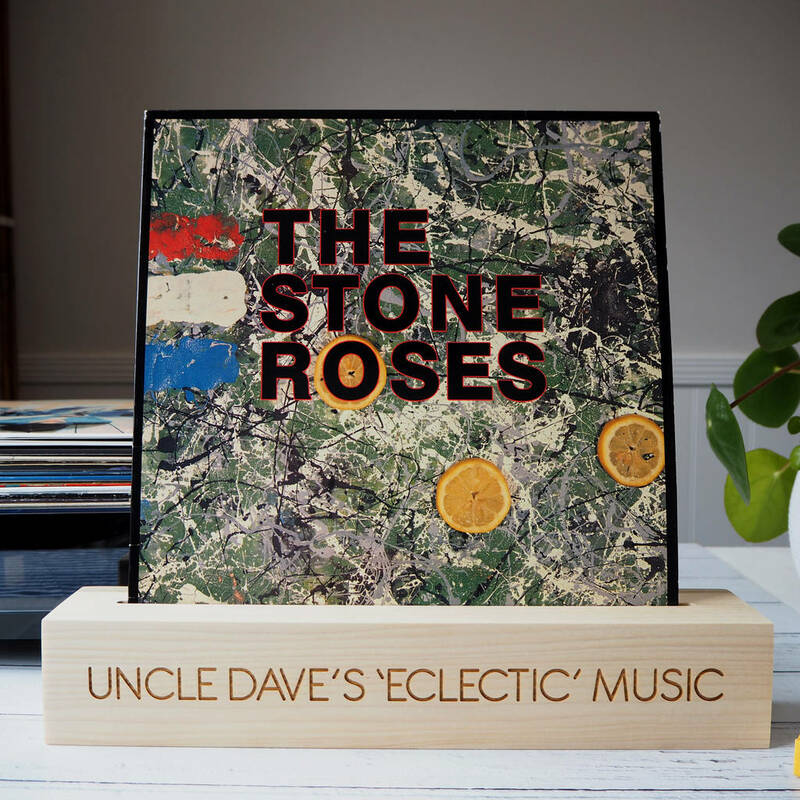 It is engraved with any message or name of your choice, perfect for any discerning music fan and lover of vinyl. 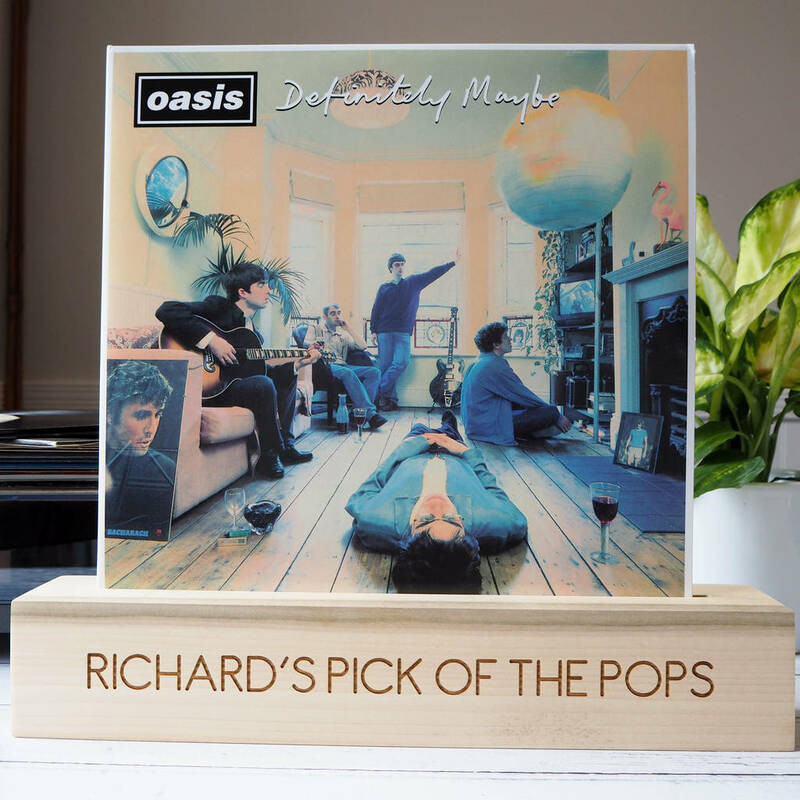 The solid wood stand can be personalised completely with a clever or heart felt message, meaningful song lyric or simply a special name or date of your choice. Making this a uniquely thoughtful gift for any occasion such as a Birthday, Anniversary, Valentine's, Father day or Wedding. 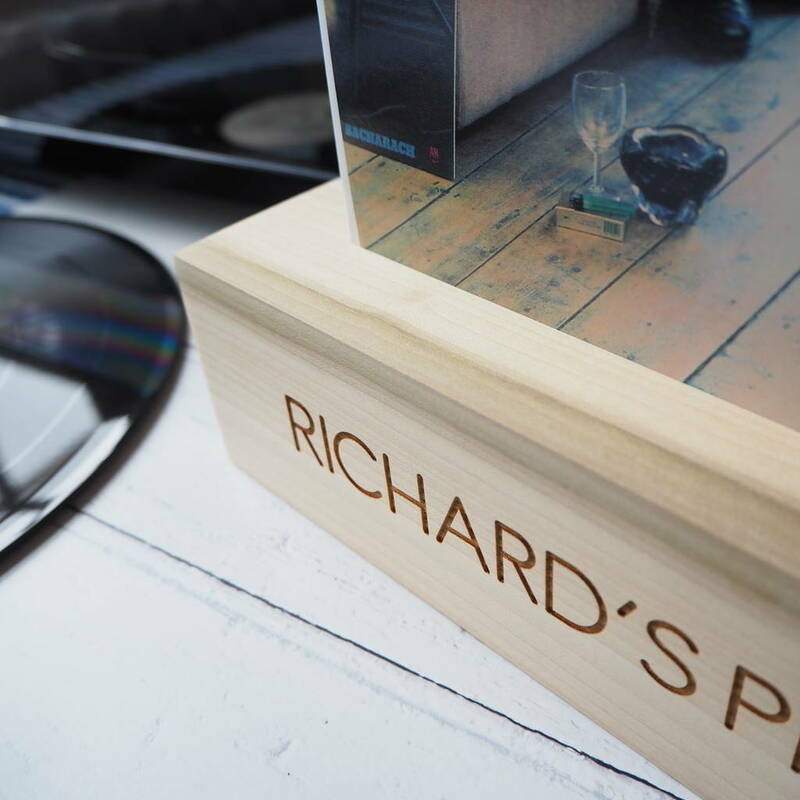 To personalise your solid wooden vinyl record holder enter the text to be engraved on one side in the box provided. If you require engraving on two sides, please use the drop down menu provided. 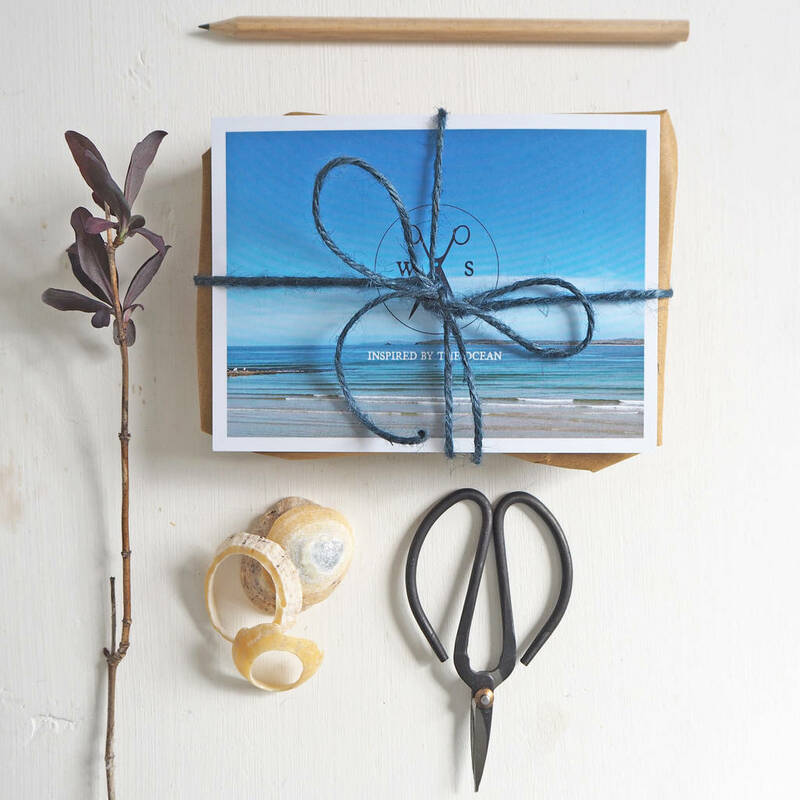 Each record holder is made from locally sourced hardwood and hand crafted by Wood Paper Scissors in our studio come workshop on the Cornwall coast. Each holder is made to order, just for you. Tulip wood has the most wonderful colours that run through the timber. From blonde to green and purple.